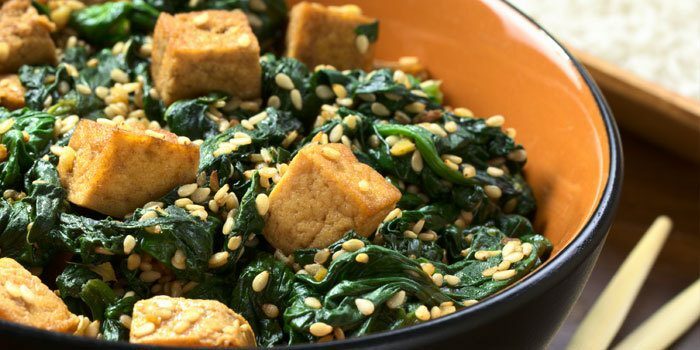 Mix together spinach, ginger, tofu, and a little chili oil for a tasty stir-fry. 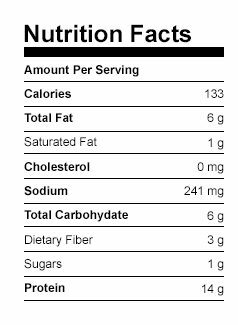 Combine broth, ginger, and garlic in a medium bowl; mix well. Add tofu; toss gently to blend. Marinate, covered, for 30 minutes. Drain and reserve marinade. Set aside. Heat wok (or medium nonstick skillet) on medium heat. Add reserved marinade, tofu, soy sauce, and chili oil (if desired); cook, stirring frequently, for 5 to 7 minutes, or until heated through. 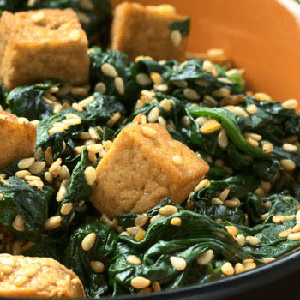 Add spinach; cook, stirring frequently, for 30 seconds, or until spinach is wilted. Great served on top of brown rice.